The Whalen Media Fireplace Console is the perfect blend of rustic style and needed functionality. Two cabinets with closing doors (for storing all of your entertainment accessories - from television components to gaming devices) border an open AV compartment above the charming fireplace. Heat your space with a stylish, toasty glow that electric heaters, stoves and standard entertainment centers don't provide. 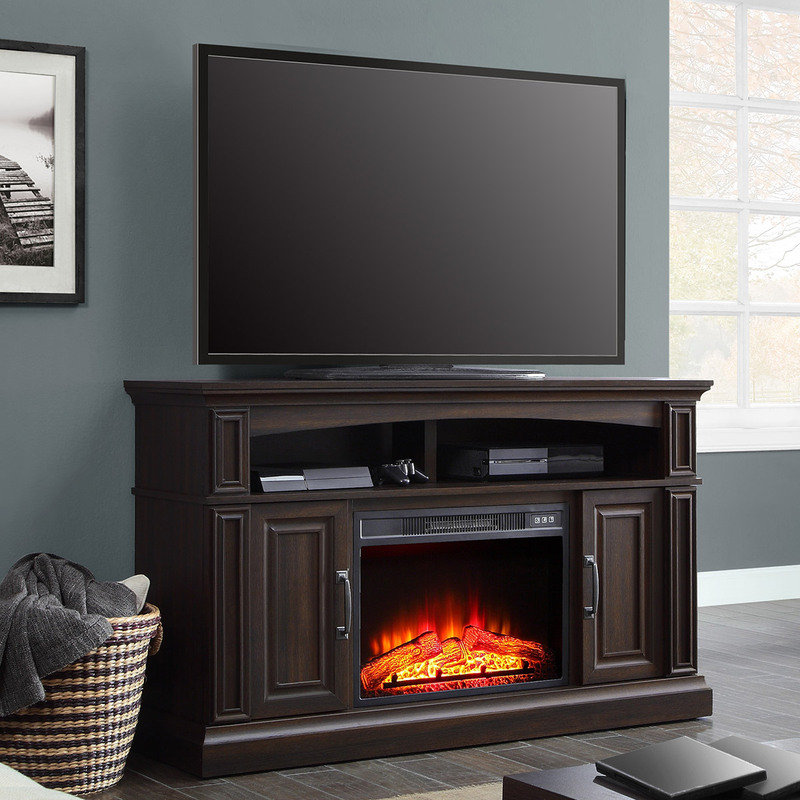 Regular tv stands, and dealing with messy heating inserts that burn logs or run on gas are a thing of the past, our media fireplace console heats your space, while creating a comfortable, cozy ambiance. Fits most 55 inch flat panel TVs up to 100 lbs. Ease of assembly and sturdy construction make this fireplace an ideal choice. Other then the horrible task of assembly, I love it. Its very sturdy, looks amazing, Adds warmth and sophistication to my new living room. Tbook.com crawls the web to find the best prices and availability on products like Whalen 55in Media Fireplace for TVs up to 60\. This product is one of the more popular items we list which is why it is in our "hot deals" section. If you have any questions on this product, please give us a call at 734-971-1210 during the hours of 9am - 5pm EST for assistance. Thank you for shopping at Tbook.com, the Internet Department Store!